Wow, that was a lot of hockey! In consecutive years the Pittsburgh Penguins crossed the finish line of the most grueling postseason in sports. Sprinkle in some international hockey for a large portion of their roster, and that makes for a ridiculous amount of high-stress action and a bunch of tired legs. I’m not going so far as to say that getting ousted a month earlier than normal is a blessing in disguise, but it can’t hurt to recharge their batteries either. All of the Phil Kessel trade talk and the Kris Letang bashing has detracted from what should be the true narrative in Pittsburgh. As good as the Penguins have been, you ain’t seen nothin’ yet. I know that people are tired of hearing that professional athletes could possibly be worn out, so I’ll get it out of the way first. The members of the Penguins’ core are by no means old, but they aren’t exactly spring chickens either. Sidney Crosby, Evgeni Malkin, Kessel, Letang, and Patric Hornqvist are all over 30, and trust me, no matter how well conditioned they are, a person’s body does not recover as quickly once you hit the big 3-0. Many don’t buy the importance that rest plays in this scenario, but unless the team doctors have created some sort of bionic implants, those guys need some rest and relaxation. The early elimination will allow for this, no matter how much they didn’t want it. I have actually heard some fans say that they are exhausted after the emotional roller-coaster of the last few years, and they weren’t the ones getting physically punished every other night for two months straight. On top of simply being worn down, there were quite a few injuries to speak of. We all know that Letang didn’t have the best season of his career, and that extended to some very poor decisions in the playoffs. But recovering from major neck surgery impacted his ability to train in the offseason, and we don’t know how truly recovered he was at any point last year. Now he will have had plenty of time to heal and prepare to come back fully rested and conditioned for the next run. 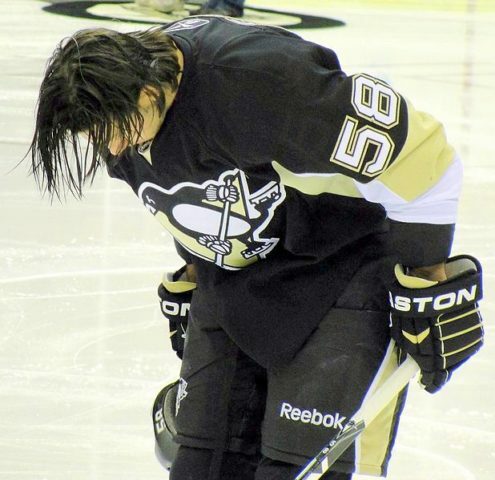 I recently touched on Letang’s value, and what to expect next season. The veteran defender is not the only one on the mend. Hornqvist was injured in the playoffs and Kessel had some sort of ailment, depending on who you ask. They too will come back as healthy, motivated individuals. Yes, the Islanders of the 80s won twice as many championships as the Penguins’ recent run, and they didn’t complain of exhaustion and injury, but you have to admit that this is a different and much more physically demanding game nowadays. Pittsburgh has not made the excuse of worn-down bodies, but I can tell you that it definitely impacted their play. In 2018-19, they will be recharged and ready to go. In 2016, Conor Sheary, Bryan Rust, and Tom Kuhnhackl stepped up from the AHL and made a huge impact during the Penguins’ championship run. In 2017, Jake Guentzel led all NHL players with 13 goals in the postseason. This year it’s time for another infusion of young and inexpensive talent. Zach Aston-Reese (23) and Daniel Sprong (21) have some experience behind them now and should have larger roles with the big club going forward. A Sheary/Rust-type of impact will be needed for the Penguins to be successful, and all indications show that they will get that opportunity. Both players had flashes of brilliance, but it was clear that they needed some seasoning. Time will tell how they will turn out, but fans should expect great things next season. Here is a quote from a Pittsburgh Post Gazette article by Jason Mackey discussing Sprong’s possible role next season, and who he could potentially be replacing. Given his success in a short amount of time, people forget that Jake Guentzel is only 23. He is still growing as a person and a player, so that sniper scoring touch and great hockey sense are only going to get better. The Penguins would be wise to sign this guy for as long as possible, as it’s not out of the question for him to become a perennial 40-goal scorer. 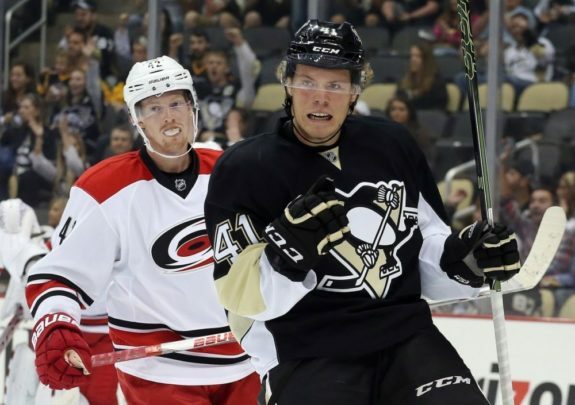 Recently, our Julia Stumbaugh wrote that Guentzel should be a permanent linemate for Crosby. 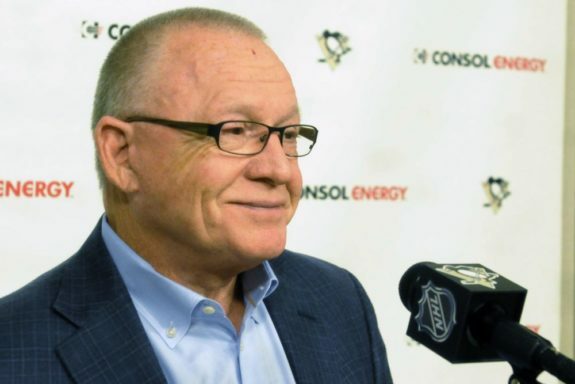 In the event that general manager Jim Rutherford does trade Kessel, the club would depend heavily on Guentzel to make up the lost goals that the former Maple Leaf would be taking with him. Even though Matt Murray had won two Stanley Cups while being a rookie for both, last season was his first as the true featured netminder in Pittsburgh. Marc-Andre Fleury has been given sainthood by Penguins fans, and his shadow still loomed large in PPG Paints Arena. Despite gaining more experience in two seasons than most goalies get in an entire career, last year was still a learning experience for Murray. Suddenly there was no safety net in the form of the beloved “Flower”, but the ups and downs of 2017-18 gave the 24-year old valuable insight into a grueling NHL season as the number-one. On top of that, the playoff loss to the Washington Capitals showed him the pain of defeat after seeing nothing but success in his brief NHL career. 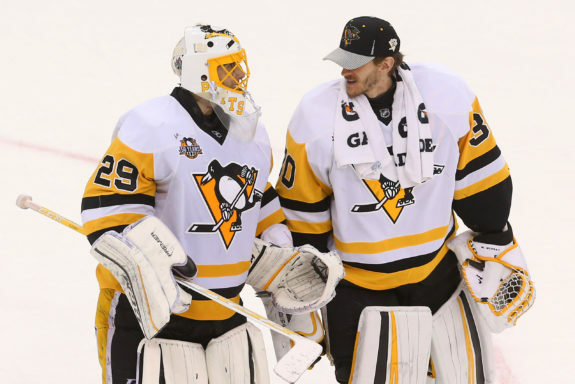 This Pittsburgh Trib Live article shows the aftermath of Murray’s first playoff series loss and is full of interesting quotes regarding the experience. It is a good read and a look into his mindset and thought process moving forward. His success and failures will prove to be invaluable lessons that will make an already elite goalie that much better. Scary thought, huh? Derick Brassard is no Nick Bonino, and that’s a good thing. But it’s a thing that requires adjustments from both Brassard and his deployment by coach Mike Sullivan. In Bonino, the Penguins had an extremely talented centerman who filled the third-line-center position exactly the way Pittsburgh needed him to. But as effective as Bonino is, nobody is kidding themselves by thinking that he belongs on the top lines of a championship-contending team. The same cannot be said about Brassard. The former Senator is accustomed to being a featured player that logs a lot of minutes, and playing behind Crosby and Malkin does not afford the same amount of responsibility. 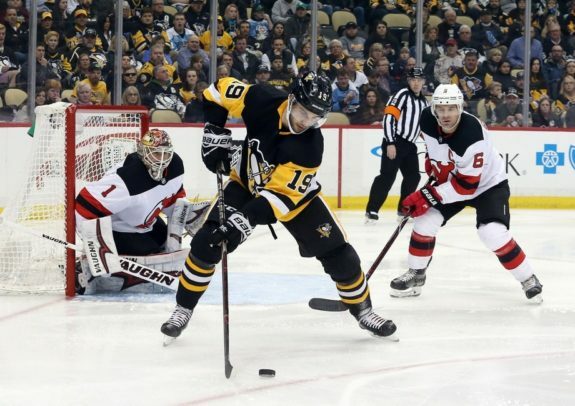 But with more time to learn the Penguins’ system, and for both Brassard and Sullivan to adjust to each other’s ways, the skill and technical aspects will fall into place. Assuming that both player and club can figure each other out, there should be a significant upgrade over Bonino more in line with the production that Pittsburgh hoped to get out of ex-Penguin Jordan Staal. Below is a quote from Brassard via a Pittsburgh Hockey Now article written by Matt Gajtka. It expands upon the issues caused by Brassard’s role change and offered possible solutions. “Just the role in general (was difficult), but I was accepting it because we had a good chance to win,” Brassard said. “The 10 or 12 minutes on the ice, I was trying to get the best out of it. The minutes and everything was a little different for me. All of us talking heads may question it from time to time, but general manager Jim Rutherford knows what he is doing. He spoke frankly as the season ended, saying that the roster could look very different the next time they take the ice. Big changes may not be necessary (there I go questioning again), but we can be sure that he will make the most of the opportunities that present themselves and put the best possible product on the ice. All of the high-profile-trade rumors aside, GMJR’s priority should be depth both in the bottom-six and the blue line. One of Kessel’s hot points was not getting to play enough with Malkin and being used to balance the depth, or lack thereof. So the best solution to that is to upgrade the third and fourth lines and move him up the bench, though much of this could be solved with the aforementioned Aston-Reese and Sprong stepping up and into the limelight. I remain unimpressed with Dominik Simon and Carter Rowney as more than injury replacements, so definite upgrades need to be made if the prospects can’t pull their weight. The current group of blueliners is solid in the top-two pairings but was better with guys like Ian Cole and Ben Lovejoy, so some moves or signings would be advised to bolster the bottom pairing. Jamie Oleksiak and Chad Ruhwedel are serviceable, but as no more than extra defenders. Of course, there are salary cap considerations to be made, as they literally have no space, which may lead to the likes of Sheary or Carl Hagelin being moved to free up dollars. If this recipe for success comes together as I expect it will, the Penguins’ roster could be more formidable than the recent Cup-winning teams. Look out NHL Pittsburgh is just catching its second wind.